The Iditarod - "The River Nektar"
The Iditarod - "The River Nectar"
The Iditarod are an acoustic music duo consisting of Carin Wagner & Jeffrey Alexander. They come from Rhode Island and their music could be described as desolate/tortured. The River Nectar is their debut outing and was originally released on Hub City Records in 1998, but it is to be re-released February 4th 2003 on Bluesanct, which I guess is their own label. In addition, this re-released version has nine extra tracks that have been taken from outtakes and out of print singles. As I listen to this disc, its dark unforgiving nature swelled over all compositions. Most are mainly acoustic based songs that stir with primitive gestures, raw playing and overwhelming sadness. All have a somewhat haunted slant to them and most are very slow in tempo and minimal in sound progression, a definite style that The Iditarod have. 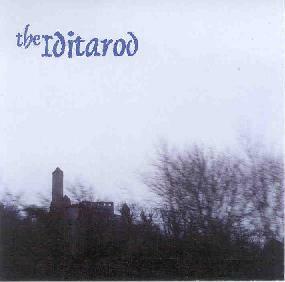 Songs like ‘Never Used’, ‘Bavaria’, ‘Gold Berry White’ and ‘Garden’ seem to echo similar avenues trod by Tanya Donelly, but The Iditarod have a more sombre approach to their music. This is a trait that runs throughout the CD. Sometimes this vein almost pumps with blood, but in reality rigamortis seems to have set in. The main vocal duties have been taken by Carin which is why I mentioned Tanya Donelly. The song writing styles are similar in certain respects and the use of layered vocals on ‘Never Used’ definitely have a Tanya Donelly feel. Carin’s vocals have a very tortured sound to them, packed with feeling. The majority is clasping at the tune and perhaps not quite hitting it, rather staggering either side. Yet they fit the music perfectly, stretching over it with graceful motions, taking it further into the places where sadness stirs. There is odd percussion and bass guitar on certain songs, possibly an organ hither & thither. A few of the tracks are live on The River Nectar, and there are cover versions of Donovan’s ‘Lullaby of Spring’ and Brian Eno’s ‘The Fat Lady of Limbourg’ among the additional tracks. All in all The Iditarod are what I would term depressional folk music for want of a category. They have produced here a collection of songs that offer something to acoustic music. The sombreness seems to be ingrained in their souls, the sadness etched upon their very brows. For more information you can visit The Iditarod web site at http://www.iditarod.org. Contact via snail mail c/o BluecSanct; PO Box 2192; Bloomington, IN 47402-2192.